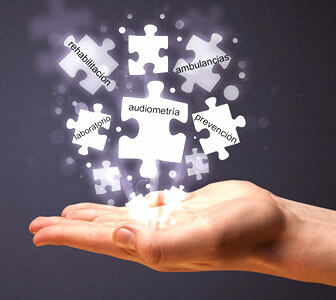 Our facilities are divided by technical departments, each team according to its type is intended to proceed to repair and / or calibration to the appropriate department: audiometry, ambulance, laboratory, rehabilitation and prevention. We have stock of necessary spare parts to speed up the waiting time for repairs. 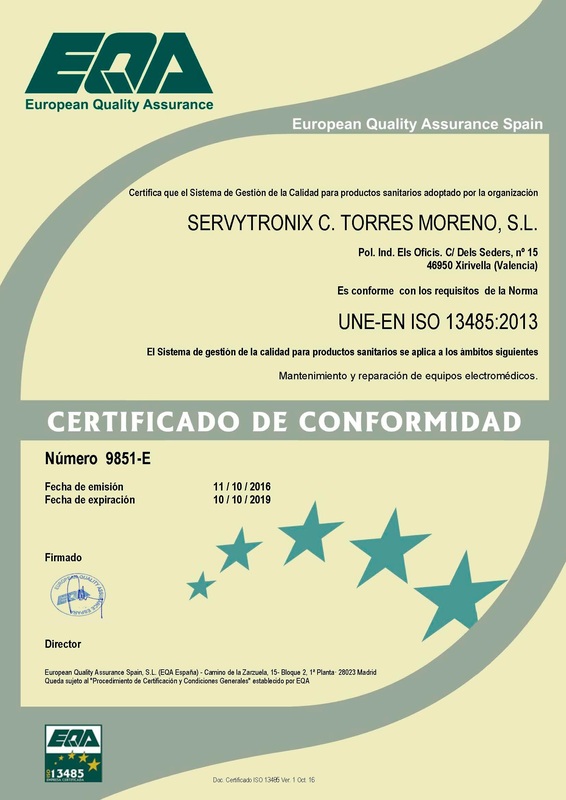 The departments are equipped with calibration standards suitable for each type of equipment, all of them fulfilling the requirements of the UNE EN ISO 9001 standard accredited by ENAC. We also have the UNE EN ISO 14001 standard accredited by ENAC. The repairs of the equipment are accompanied, mostly by an electrical safety test according to IEC 60601-1: 2005. Our technicians acquire continuous training provided by the manufacturers of the different brands with which we work. Department of Audiometry: Repair, calibration, adjustment and verification of audiometers, impedance meters, videotoscopes, otoacoustic equipment, sound level meters, dosimeters, acoustic calibrators and evoked potentials. The audiometry department has a rigorous calibration system. Department of ambulances: Repaired, calibrated and verified equipment such as defibrillators, respirators, semiautomatic defibrillators, perfusion pumps, multiparameter monitors, aspirators, pulse oximeters, manorreductores, capnographs and pacemakers among others. Prevention Department: Mutual teams, prevention services, hospitals, private clinics such as electrocardiographs, tensiometers, spirometers, vision control, otoscopes-ophthalmoscopes, pesapersonas, among others, are repaired, calibrated and verified. Department of rehabilitation: Repairs, verifications and calibrations of equipment such as radars, autoclaves, ultrasounds, IPL are carried out. Department of Laboratory: Department dedicated to the preventive maintenance, repair and calibration of centrifuges, thermal cycler, ultra freezers, incubators, agitators, laminar flow cabinets, D-HPLC.